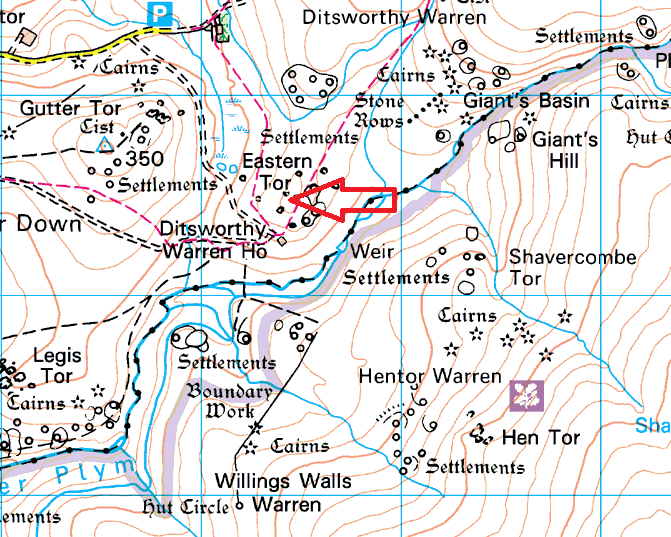 Eastern Tor is a pretty unrecognisable tor to be fair, it sits just above the Ditsworthy Warren House and can easily be missed if you are on the path below heading over to Drizzlecombe. 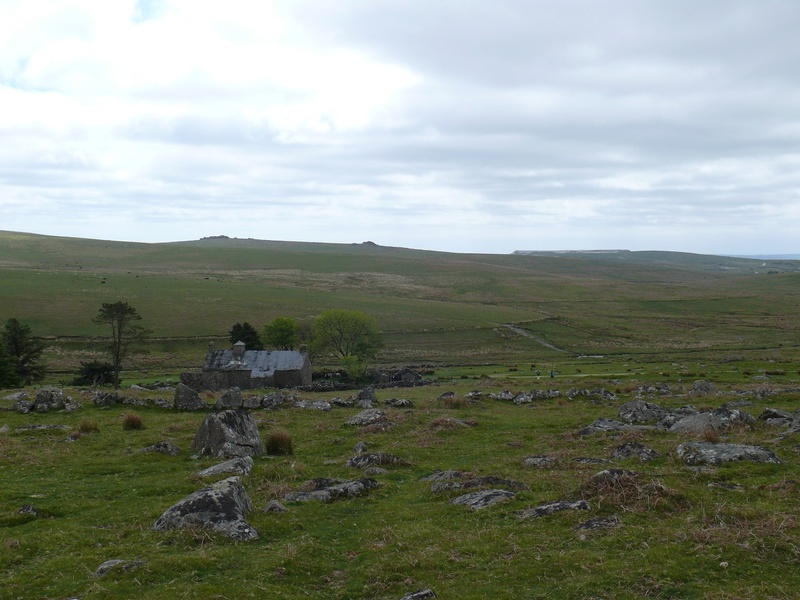 This tor gives good views to Drizzlecombe and Higher Hartor although the warren house can’t be seen from the summit. 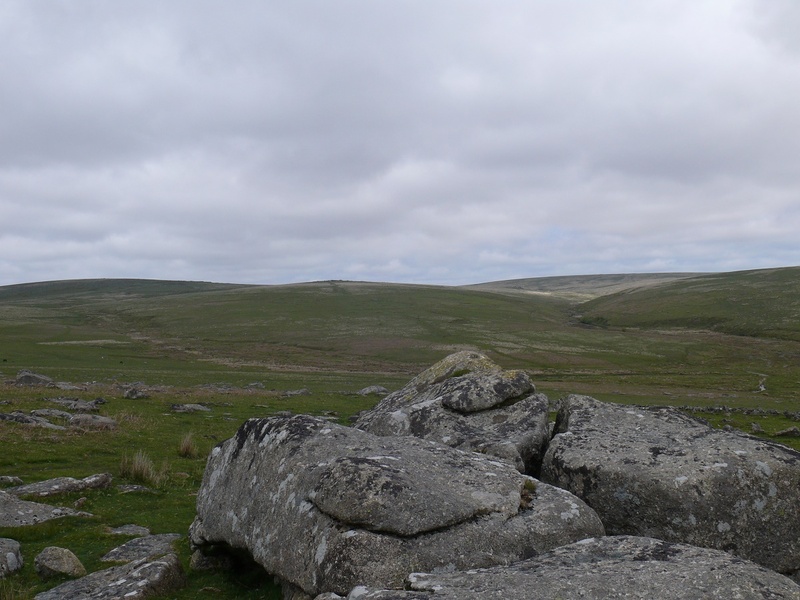 The easiest route here is from the parking spots below Gutter Tor by the scout hut. There are no military firing ranges in this area. 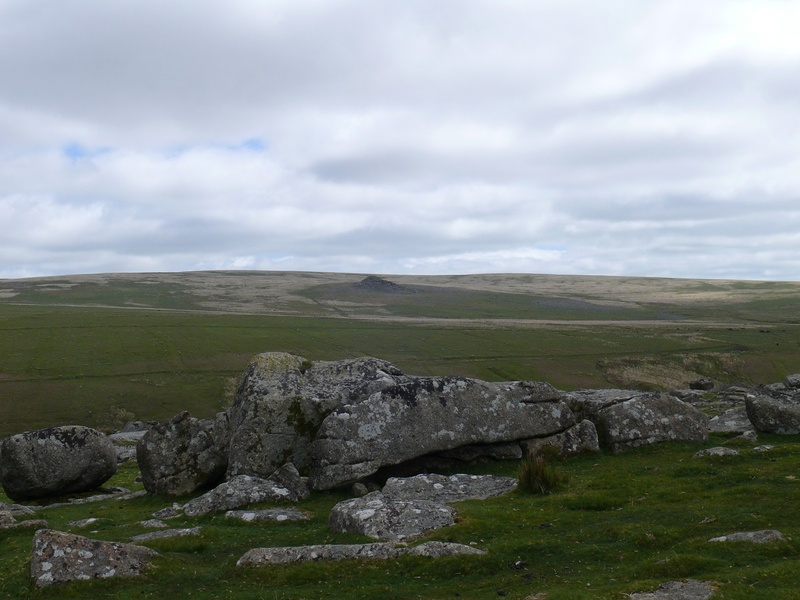 Gutter Tor on the left with Peek Hill and Leather Tor central. The trees to the right hold the scout hut.